This is not Downey! This is Norwich University in Northfield, Vermont. My daughter graduated from a Masters program today, so we spent the week in beautiful Vermont. 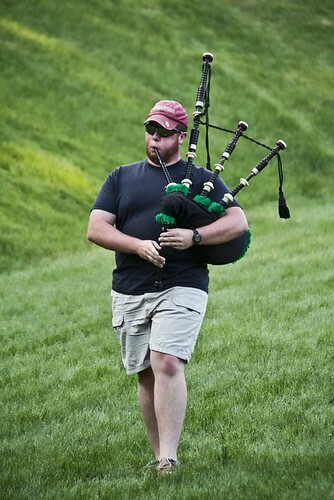 Almost every evening, we were treated to bagpipes on the green. It was a charming way to end the day. I love the sound of bagpipes. Congratulations to your daughter (and you)!